Find Out What Motivates Your Social Media Audience! Have you ever wondered why your social media audience does what it does? What motivates people to respond to your tweets, to comment on your blog posts, and to interact with you? Why do some people pay attention to everything you say, and others never bother to even check? The next ALsocme meeting will address this subject. Jenny Schmitt from Cloudspark will be sharing a talk on “The Digital Divide: The Psychographics of Social Media,” where she will discuss how different generations use and integrate social media into their lives and what motivates their nearly every move online. The luncheon is on November 9th from 11:15 am to noon at the Hill Event Center. The event is free, and lunch will be provided. If you haven't been to an ALsocme event yet, this is an excellent one to attend!! I highly recommend coming to network with others and learn from Jenny's talk. One of the chief purposes of Alabama Bloggers is to encourage relationship building between area bloggers, and specifically to offer opportunities for bloggers to meet in person. Although the social media world is a fabulous place to make friends, those friendships grow exponentially when you actually speak face-to-face. 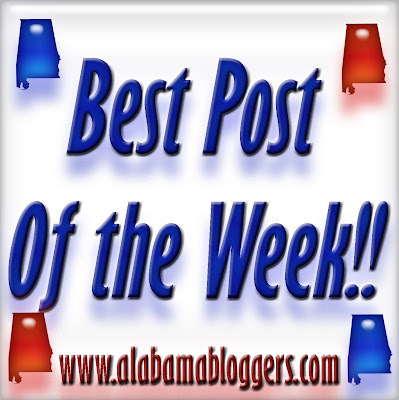 It is for this reason that I am so excited about The Alabama Social Media Association (ALsocme). They offer excellent opportunities to meet other social media professionals and hobbyists within the state, as well as increasing knowledge and awareness of social media. If you haven't been to an ALsocme meeting yet, I highly encourage taking advantage of this next one! It is scheduled for September 21 from 5 - 8 pm. This event will be a wonderful opportunity to network with people you've already met via social media and meet new people, as well as learn more about social media as it relates to Birmingham. Mayor William Bell will be presenting a short address on the state of technology in the city from 6 - 6:30, and there will be networking time before and after. This event is sponsored by Wesban Financial Consultants, and dinner will be provided (and free!) from the amazing Birmingham Landmark, Ted's Restaurant. Tickets are free, but attendees must register at alsocme.com. I hope to see you there! Rojo is a delightfully eccentric Mexican restaurant on Highland Avenue. We have taken our kids there several times, so in my quest to show how Birmingham Restaurant Week is kid-friendly, we eagerly signed up for Rojo. We enjoyed our food quite a bit, but in kid-friendly terms, I would recommend Rojo at lunch instead of dinner. We arrived at our normal dining time of 6pm, which at other restaurants is usually just us and older couples. But Rojo, being hip and urban, has quite the bustling after-work crowd, so it felt more like happy hour than our usual quiet early-dinner experience. Which is perfectly fine, but it was too loud for my four year old, and we felt a little more out of place than usual with our young brood in tow. However, we’ve had many wonderfully pleasant lunches there, so we’ll stick to that from now on. Rojo's Birmingham Restaurant Week Menu (which, by the way, is available for lunch or dinner) has the option of a Salsa Trio or Queso. I am a sucker for variety, especially in dips, so I opted for the trio. The regular salsa was spicy, flavorful and thin – the consistency that salsa should be, in my opinion. The black bean salsa contained fresh (non-mushy) beans, corn, onions and cilantro, giving it the Tex-Mex sweet and hearty taste that was very pleasing. The Pineapple Salsa was something I’d never had before, but loved from the first bite. Almost completely sweet with just a hint of red onion, it was a delightful surprise. Their entree choices include a Chipotle Pork and Mushroom Burrito, Chicken Tomatillo Tacos, or Shrimp Tomatillo Tacos. Already being a fan of fish tacos, I opted to try the shrimp tomatillo tacos for my entree. The tacos came ready to customize with only shrimp and onions already in the tortillas. I added the black beans and tomatillo salsa, giving it a wonderfully varied flavor. The shrimp were fairly spicy, but the tomatillo salsa was cool and mild, helping bring the temperature back down. I enjoyed my tacos, and there was plenty provided – I chose to forego my tortilla on the second one and just eat the shrimp/tomatillo/black bean mixture. …which had an added benefit: unlike my last two Birmingham Restaurant Week desserts where the kids ate WAY too much of it, I only had to share my pie with Ali, as Noah is too young for Peanuts. Score! The pie was a perfect completion to the meal, bringing it back full-circle to sweet. It had chunks of peanuts in the rich and creamy pie filling, and a delightfully subtle layer of chocolate fudge between the peanut butter and the crust that left me licking my spoon clean. The Silvertron Cafe sits inconspicuously in the Forest Park neighborhood of Birmingham, along Clairmont Road. …which would have been our own reaction five years ago. However, it’s been a favorite of those in the know for the past twenty-five years, and with good reason. Their expansive and widely-varied menu offers up something (or, in my case, a dozen somethings) for everyone, and the fabulously generous portion sizes are sure to feed you tonight AND tomorrow night. But they don’t skimp on quality for quantity – they offer both. The owner, Marco Morosini, adds his seasoned and highly-acclaimed touch to each menu item. As well as offering fun event nights like Monday Night Pasta and Tex-Mex Tuesdays. We always bring our kids along, and I’ve never felt uncomfortable doing so, despite the high-end tastes that Silvertron offers. Their dining room is open and airy, leaving plenty of room between tables. The atmosphere is casual and inviting, with a wide array of diner demographics. The wait staff is always friendly and overly helpful to our burdened-with-kids state. Last time we visited, our waiter chased for a block to bring us our leftovers that we’d accidentally left on the table. This visit, the staff only had good humor in Ali’s efforts at making herself at home, depositing her shoes underneath my chair. The kid’s meals are more than enough to feed two (or more) children off of one plate – they use the same platter-sized plates that they use for entrees, and fill them to the brim with kid goodness. This week’s Birmingham Restaurant Week Menu offers some fabulous choices to let diners sample what Silvertron is all about. For the appetizer course, you have the choice between Tomato and Mozzarella Salad or Roasted Eggplant and Goat Cheese Bruschetta. I had the opportunity to taste the bruschetta at the Preview Party Thursday night, and it was fabulous. The Eggplant and Goat Cheese were warm and rich, and the toast was perfectly done, not hard and dry like many bruschettas tend to be. Since I had already tried the bruschetta, I chose the Tomato and Mozzarella Salad when we visited Silvertron the next night. It is amazing. The balsamic reduction is the perfect flavor to highlight the softness of the Mozzarella and bring the whole salad together. For the entree course, there are three choices: Chicken Tacos with Caribbean Sauce, Tagliata with lemon-mustard mayo, or Mango-chipotle Tilapia. When given the choice, I always opt for fish. However, since the Tilapia is fried and served over Mashed Potatoes (which sounded fabulous, but was probably a few more calories than I wanted to consume that night), I decided to step out of my comfort zone and try something completely new for me: the Tagliata. Besides being gorgeous, it was wonderful. The roasted vegetables had a great spiced flavor without losing their natural tastes, and the beef medallions (which I ordered rare) were tender and juicy. The mustard sauce was a surprising combination, but fit perfectly with the meal. I found myself sopping up every last bit of it. The dessert options include a Bailey’s Parfait, Homemade Roasted Sweet Potato Pie, or Chocolate Chip and Espresso Bread Pudding. Always a sucker for the chocolate, my choice was easy. I was a little hesitant because sometimes bread pudding isn’t sweet enough for my needy taste buds, but this one is perfect. The bread pudding is moist and flavorful, and the powdered sugar and chocolate syrup only helped guarantee that it would be sweet enough, causing me to, once again, scrape my plate clean. Open Monday – Friday 11:00 AM – 9:45 PM, Saturday 8:00 AM – 9:45 PM, Sunday 11:00 AM – 8:45 PM. Growing up in an intensely Greek family (think “My Big Fat Greek Wedding” collides with “Sweet Home Alabama”), Nabeel’s Market was a regular stop for us. The tiny storefront in Homewood with gigantic glass cases full of authentic Mediterranean olives and cheeses was an integral part of the preparation for every family get-together. They would slice and scoop giant portions of feta cheese and Kalamata Olives, then package them simply in doubled-plastic bags sealed with a twist tie. They had three tables in the deli where they served one type of sandwich, but I suspect that the tables and chairs were more of an excuse for the socially-centric Mediterranean population of Birmingham to congregate and solve the world’s problems than to sell a lot of sandwiches. In 1994, the original owner of the market sold it to John and Ottavia Krontiras, John from Greece and Ottavia from Italy. Their desire was to keep the market, but also expand it into a family-oriented restaurant. Coming from an international executive job, John told me that he didn’t even know how to fry an egg when he bought Nabeel’s, but he had vision and determination. As the adjoining salon became available, they expanded their restaurant into it. Then the florist on the other side of the salon closed, and they expanded again, enabling them to bring their dream to fruition. John and Ottavia’s goal to create an atmosphere for families to slow down, enjoy each other, and eat home-cooked, authentic Mediterranean food was most definitely achieved in my life. My childhood trips to Nabeel’s Market quickly morphed into teenage trips to Nabeel’s Cafe. I remember eating there on a special night, just my Mom and I, for my fourteenth birthday. Then five years later, she and I had another special Nabeel’s meal together, only this time the occasion was that it was the week before I got married. On that trip, my Mom gave me my wedding present – a laboriously documented collection of our family recipes, many of which were Greek, and some requiring ingredients from Nabeel’s Market. There couldn’t have been a more fitting and sentimental place to receive that priceless gift that I still use constantly. Ten years later, Chris and I regularly take our two kids to Nabeel’s Cafe, enjoying the family atmosphere from the other side of the equation. Although we love everything we’ve ever eaten there, we both agree that they have the absolute best hamburger in town (and we’ve tasted them all!!) – the Bifteki. The Bifteki is an juicy, gigantic Greek Hamburger that is mixed with a blend of Greek spices, stuffed with a generous portion of Kefalograviera Cheese, and topped with Tzatziki Sauce. They also serve it with their fabulous dressing on the side, which we pour over our burgers to add even more Greek flavor. We jumped at the opportunity to visit Nabeel’s during Birmingham Restaurant Week. Of all of the BRW menus I’ve looked at, Nabeel’s is one of the most thorough, offering four courses and including a beverage of your choice. For only $20, you will receive pita bread with your choice of Tzatziki, Hummous, or Taramosalata Dip (I went with the Tzatziki, a wonderful blend of Greek Yogurt, Cucumbers, and a generous amount of Dill), along with an unbeatable Greek Salad, Spinach Lasagne, Tiramisu, and soda, Mint Tea, or wine. The Spinach Lasagne was divine, with layers of ricotta, mozzarella, parmesan, spinach, pasta, and fresh tomato sauce. It was both creamy and hearty, full of a richness of flavors that totally masked the fact that it is quite low calorie and healthy! Ali opted for the PB & J. My favorite part of the kid’s menu is that it is so affordable - $1.95 for a Grilled Cheese or Peanut Butter & Jelly - with Nabeel’s gourmet fries, no less - is the best kid’s deal in town. I couldn’t be happier, and neither could she. This was the only part of the meal that I wished we hadn’t brought the kids along, because I really, REALLY wanted the Tiramisu all for myself. …but instead, it made for several happy customers. Besides the family atmosphere and the inexpensive yet quality kid’s menu, the fact that Nabeel’s is located directly across from Homewood Park makes it an even better family destination – after all, you need somewhere to let the kids run off their energy after allowing them to indulge in coffee-soaked, chocolate-covered Tiramisu.